Netflix is raging and trending this year with almost 118 million subscribers worldwide. In Ireland, almost 500,000 households stream Netflix. The data come from a survey by communication regulations, Comreg. Now that Netflix has growing popularity, it is evident from this fact that Netflix throttling would be an issue. Throttling means that your ISP is purposely manipulating the speed of the internet. This is usually done to control network traffics. ISPs also do so to minimize the bandwidth congestion. Netflix throttling is now a common issue that the users witness. This is mainly due to increase in Netflix demand and popularity. Usually, the users complain that a cap of certain speed is activated when using Netflix. This ultimately leads to streaming of low-quality Netflix videos. There is only one easy solution to Netflix throttling. And that is a VPN. When the user connects to a VPN, the internet service provider (ISP) cannot figure out what is being surfed on the internet by him/her. Le VPN is one reliable and affordable solution to access Netflix as per your wish. Firstly, Le VPN helps you to mask your IP address. A VPN or virtual private network is a connection that helps to keep the third party at bay, even the internet service provider. The connection is only between the user and the website. Therefore, when it comes to Netflix throttling, a VPN is an ideal solution. Le VPN keeps your IP address anonymous. As a result, no one can track you down. At the same time, the browsing data are kept hidden with the help of Le VPN’s strong servers. Unblocked YouTube, Facebook, Twitch, and Twitter. Stream online videos anytime, anywhere. Change IP address to any of 114 countries. More than 800 servers globally. Use VPN on simultaneously two or more devices. Money back guarantee with Le VPN within seven days. There are so many options available regarding choosing the right VPN service providers. There are companies that offer free VPN service for a limited duration. However, you cannot be very sure about data security. Such companies lure customers with free offers. But, they may sell your data to third parties for monitory gain. On the other hand, Le VPN ensures your 100% online security, data privacy, as well as anonymity. Above all, we do not keep logs of customers’ internet activities. The services are transparent, and there is one-time payment inclusive of everything! 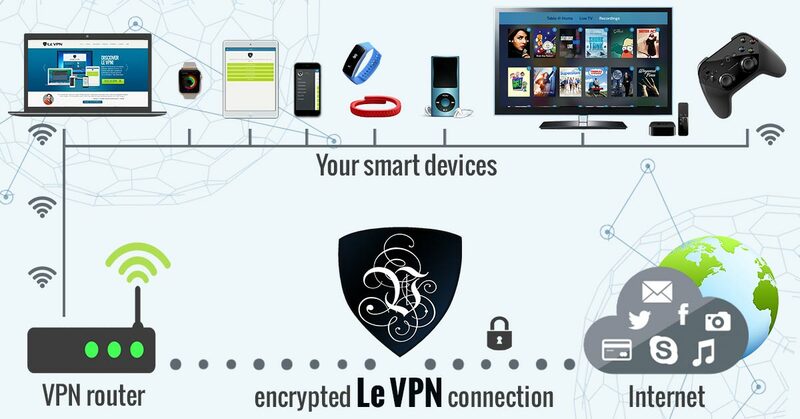 Subscribe to Le VPN today. Grab Le VPN’s 2-year plan for $69.60 or $2.90/month.